Item # 317910 Stash Points: 2,995 (?) This is the number of points you get in The Zumiez Stash for purchasing this item. Stash points are redeemable for exclusive rewards only available to Zumiez Stash members. To redeem your points check out the rewards catalog on thestash.zumiez.com. 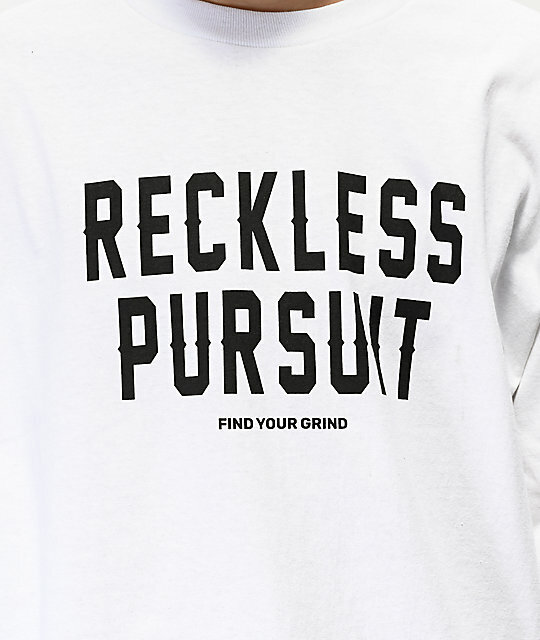 Find Your Grind brings you their Reckless Pursuit shirt. 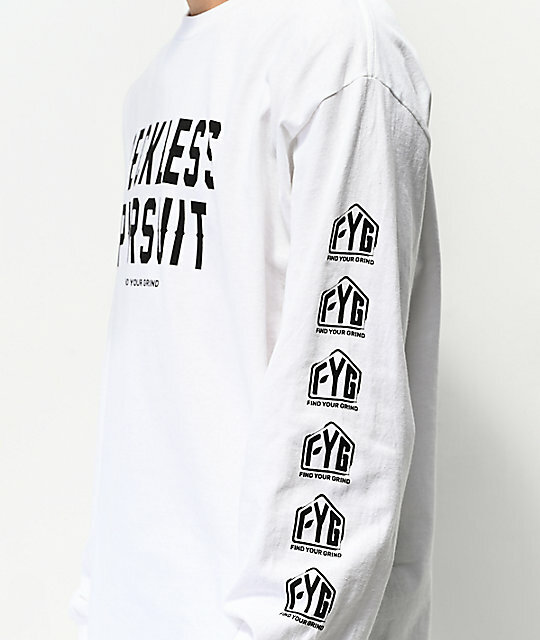 This all white, 100% cotton long sleeve tee features "Reckless Pursuit" in bold black text across the chest while each sleeve is embellished with the FYG brand logo repeatedly printed from shoulder to forearm. FYG or Find Your Grind, is a company whose "apparel is for the misfits, for the people chasing stories not stuff. This is for the generation who want to make a difference while doing what they love." 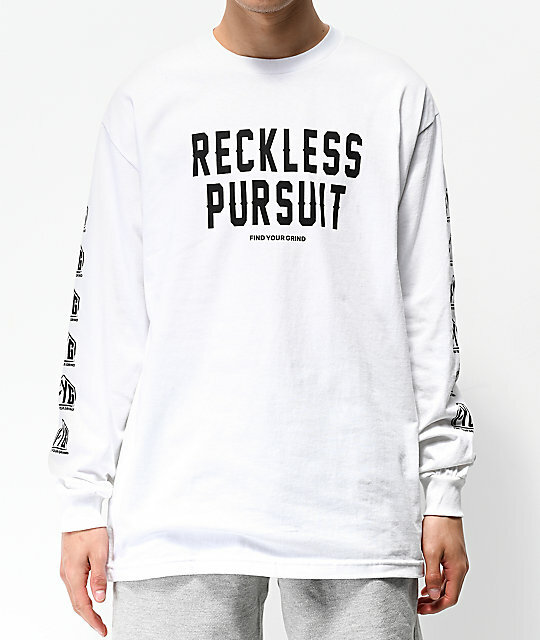 Reckless Pursuit White Long Sleeve T-Shirt from FYG. 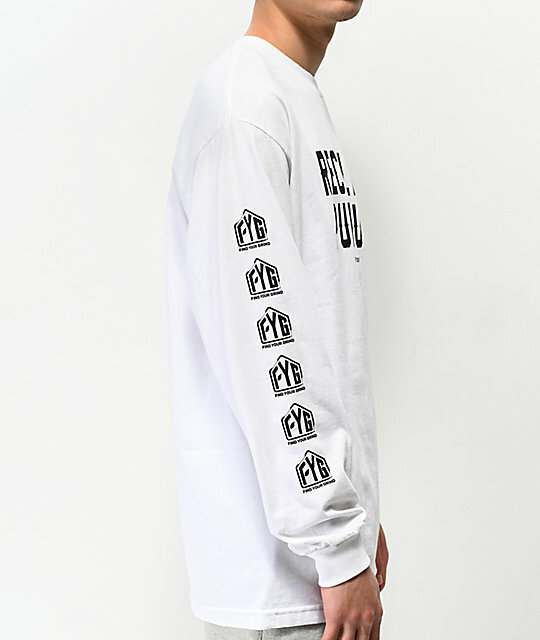 Screen-printed graphic at the chest and down both sleeves.